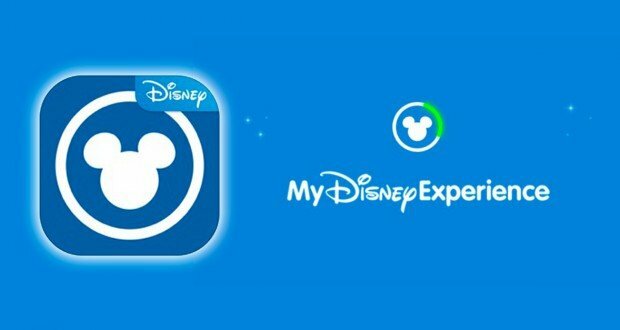 It has been a year since Disney has revamped the FastPass system and introduced the My Disney Experience app. The app has combined multiple different functions to allow you to accomplish multiple things in one place. The app may seem confusing, but these tips are designed to help you to get the most out of your trip and enjoy the time you have in the parks. 8. FastPasses – the app will allow you to make your FastPass reservations before even setting foot in the park. Gone are the days of sprinting around the park at rope drop to get them. Depending on your visit, you are allowed to make reservations either 30 or 60 days prior to your trip. You are allowed to make only three FastPass reservations in advance. You can get additional FastPasses after your initial three, but you will have to go to a FastPass kiosk in the park to get those. You are also able to make changes on the go (this can be helpful when you get to the park early and discover, for instance, the standby line for Space Mountain is only 15 minutes and you want to switch your FastPass for Splash Mountain instead)! 7. Dining Reservations – you can also make dining reservations and view restaurant menus from the app as well! This can be useful if you are exploring a new park and you are unaware about what each restaurant serves. It also can helpful for those food lovers amongst us who need to know where to find their favorites in each park (for me, it’s the Mickey pretzel with cheese!). 6. Tickets – Disney recently revamped the app to allow you to purchase your tickets directly through the app. This is extremely convenient and saves you time from calling on the phone or having to go to the front gate on your first day to purchase them. 5. Group Planning – once your party has their tickets, you can create a profile on My Disney Experience and sent invitations to friends and family members. Once that invitation has been accepted, you can schedule FastPasses for everyone, link them to dining reservations, add things to wish lists. My in-laws are particularly huge fans of this feature – they simply tell me what park they want to go and I can take care of the rest, they can look at their phone and see what the plans are for that day! 4. Notifications – the app has been designed to notify you when there is some interruption in your plans. The most common notification that I have received is when there is some ride disruption that interferes with your FastPass. Generally, you will be allowed to use your FastPass for that ride whenever the ride opens again, or, if it is down for the rest of the day, you can use a FastPass on any ride in that park. 3. Ride Waits and Character Greetings – the app also displays the wait times for the attractions in the park that you are in. It is very helpful to know that there is a 65 minute wait for Splash Mountain before deciding to head over there after stepping off of Space Mountain! The app also gives you the times and locations of the various character greetings available in the park. Just scanning through them right now, I discovered some character greetings that I never knew about! 2. Special Events – if you forget to grab a Times Guide when you walk into the park, you can find out from the app when the special events, like parades, fireworks, and special appearances, are scheduled for that day. You can also use the app to find out specifically where those things will be taking place. 1. My Disney Experience is best explored before you even get to the parks. It can certainly save time (and precious battery life) if you look around the app before, so you know what to do when you need to do something. Cast Members are also spread throughout the parks that can help you with any issues or questions that you may have. Recently, I have noticed that Disney has battery sticks available in the gift shops to extend the life on your phone battery as My Disney Experience does seem to drain the battery pretty quickly if you are using it consistently. My suggestion would be to get one from a local drugstore before going to the park (I’ve seen these available at Walgreens, Walmart, Target, CVS, Publix, etc). The price difference is substantial – usually about half of what Disney charges. The app is also available for iPad and tablets, so you are able to do planning on them as well. You can also access My Disney Experience from a desktop or laptop computer. The app for your smartphone is the best for planning and making changes on the go! What is your favorite feature of My Disney Experience?